As we soldier through the cold winter front, we can look forward to the beautiful flowers that will come in spring. 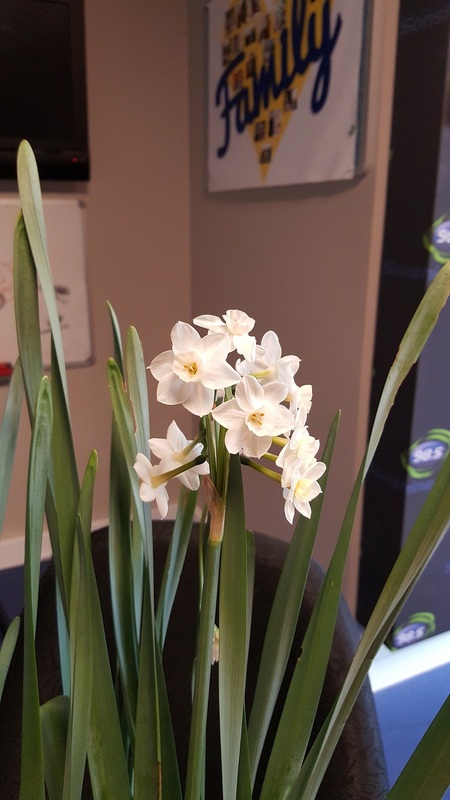 Gardens from Eden‘s Colin Barlow brought in some Erlicheer and it filled the Studio with the scent of spring. He also gave suggestions on how you can do the same to your house with growing these flowers. How do you get rid of clover in buffalo lawn? Would it be the same case for couch lawn? Will a ‘weed and feed’ do the trick? Can I prune my grapevine now that all the leaves have fallen off, with the rain around? Catch Colin for more gardening answers every Friday 9am on Mornings with Mike. Are you pruning your rose correctly?